In three easy steps you can enjoy delicious cake pops with friends and family. 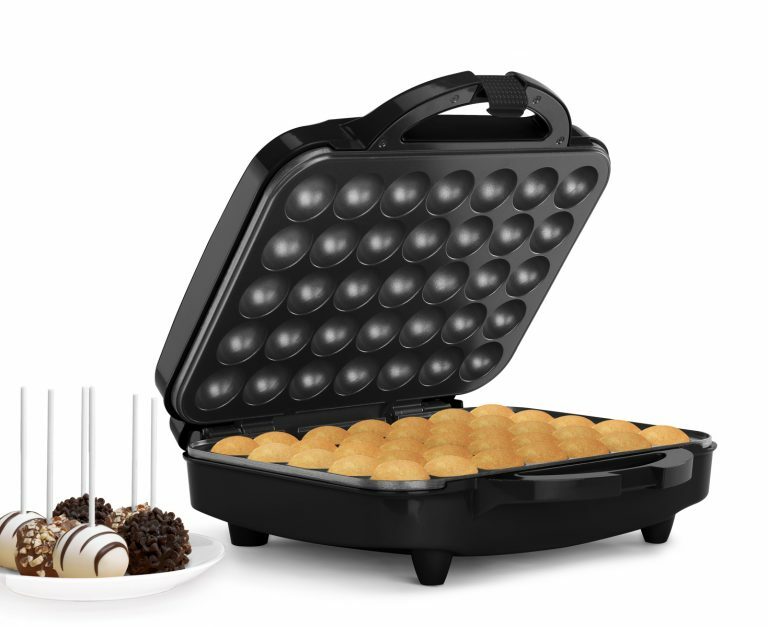 The Holstein Cake Pop Maker is simple to use and saves you time and money since you don’t need to use the oven or clean up baking pans afterwards! Your cake bites are the perfect complement when entertaining and a great alternative to baking a cake. With Holstein’s Cake Pop Maker you can bake 35 cake bites in just a few minutes, plenty for everyone to enjoy.